Yesterday was National Running Day! It is an awesome day to go for a run or even to start running for the first time. Normally yesterday would have been my leg day but I couldn’t let the day pass without getting a run in. Running to me is a freeing experience. It allows me to think clearly, breath deeper, and push my limits. 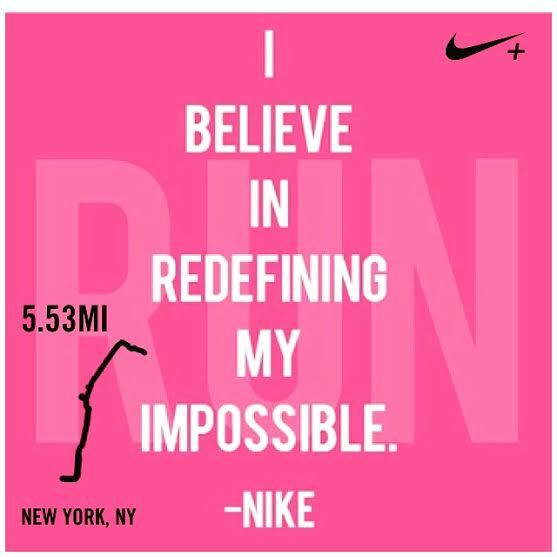 After I run I really feel like I’m powerful and there isn’t anything that I can’t accomplish. It sets my day and mood up in a positive way or it can help me unwind after a long day. I also, get the best rest after a day of pounding the pavement. Why do you run? What motivates you to get out there? Whatever it is, let it motivate you to keep going! Previous Post Brooklyn Half Marathon!